Summary: In a car accident involving a pedestrian, establishing liability may not always be simple. In a car accident involving a pedestrian, establishing liability may not always be simple. The 2012 data for accidents involving automobiles and pedestrians in the United States shows that 4,743 pedestrians were killed and over 76,000 sustained injuries. 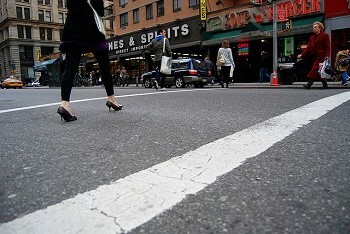 In such accidents, the likelihood of a pedestrian getting killed is 1.5 times that of the occupants of the automobile. The higher risk groups in such accidents are older people, children, and alcohol impaired drivers and pedestrians. Alcohol consumption by either the driver or pedestrian has been reported in 48 percent of crashes involving pedestrians and cars resulting in the death of the pedestrian. High vehicular speed has been a major cause for pedestrian-car accidents as well as increased severity of injury to the pedestrian. Many pedestrian deaths occur in urban areas, mainly at non-intersection locations and at night. Pedestrians should always use the sidewalk, and in case the sidewalk is not available, they should walk on the shoulder while facing traffic. While driving an automobile, a driver must be cautious and drive carefully when a pedestrian is around or is likely to be present. However, there are situations where the fault may not lie with the driver but with the pedestrian. There have been accidents where the pedestrian has been held liable for the damages incurred by the driver in a pedestrian-car accident. The driver of an automobile is duty bound to drive with reasonable care under the given circumstances. It means that a driver is expected to respond to a particular situation in the same manner as a normal, prudent person would act when faced with the same circumstances. The law states that a reasonable person is always extra cautious and ensures that he or she has strict control over the car and slows down when there is a pedestrian around. For example, if a person is driving well below the speed limit but he or she does not slow down after seeing a child wobbling on a bycycle ahead of the car, he or she may be held liable for causing an accident since a prudent person will slow down the car when faced with a similar situation. Usually a cautious driver will take steps to ensure that he or she does not hit a pedestrian when circumstances arise. However, there are situations where a pedestrian acts in such a manner that it becomes impossible for a cautious driver to avoid a collision. In such cases, the law may find the pedestrian to be at fault. For example, if a person is driving under the speed limit through a commercial district and a pedestrian runs out from behind a parked car just a few feet in front of the driver’s car, the driver will not be liable for the collision because the pedestrian was so close to the car that any evasive measures by the driver would not have avoided the collision. Pedestrians involved in jay walking across an intersection will be held responsible for collisions that may arise when a driver makes sharp maneuvers to avoid hitting the pedestrian. In a car accident involving a pedestrian, establishing liability may not always be simple. Consult a St. Louis car accident attorney to learn about your legal rights. Call The Hoffmann Law Firm, L.L.C. at (314) 361-4242 for a free consultation.